The new formula is more natural, 100% paraben-free and available in colorless (dye-free) versions. 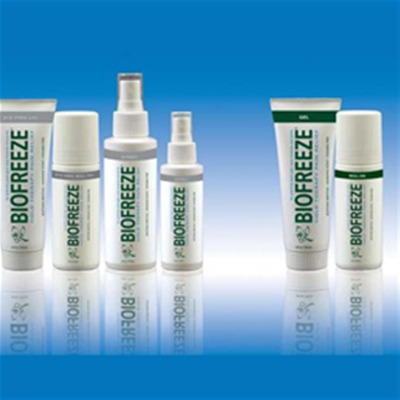 Delivers targeted pain relief with the benefits of cryotherapy to treat athletic and muscle related injuries, sore or strained muscles, shoulder and arm discomfort, neck, hip and leg pain, back pain, painful joints, sports injury pain, ankle or foot pain, and pain associated with arthritis and tendonitis. Apply before, during and after treatments to reduce stiffness enabling better range of motion and flexibility. Greaseless, stainless and leaves no lingering scent. Active ingredient: menthol. Manufactured in the USA.